Located in Middlesex County, Concord is one of the oldest towns in America and keeps alive memories of those times when our country was still young and developing. The town may be small in size, but it has such a rich literary and historical heritage. 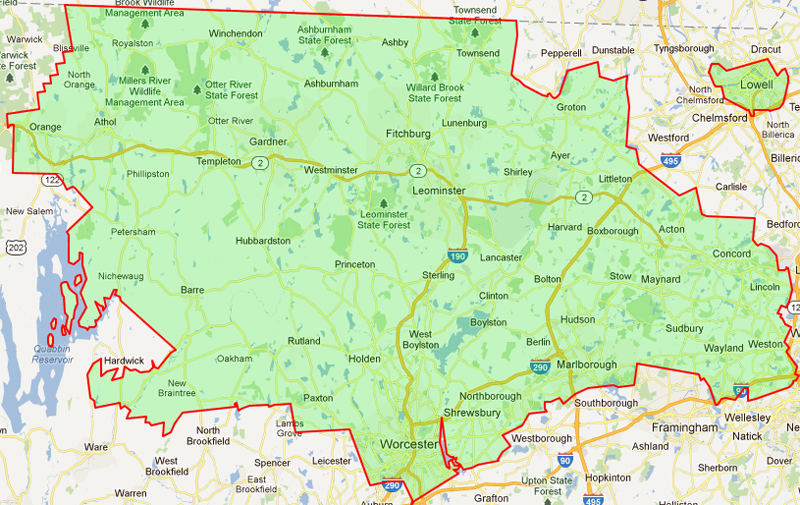 The Maids is proud to serve Concord, MA, and is honored to be a part of the environmentally conscious community. We offer Concord residents superior house cleaning services that The Maids are known for and will make sure that your home will be sparkling-clean. Wouldn’t it be nice if you could just sit back and enjoy a good book or a show knowing that your bathroom and kitchen are not just clean, but healthy clean? Not only do we make sure that there are no dirty spots left behind, but we also ensure that your house is sanitized with eco-friendly cleaning solutions. Concord, MA has always been our core service area, and we are proud to say that we have been a part of the community for more than a dozen years. We strongly believe that you should be devoting your valuable time to your family and loved ones while exploring Minute Man National Historical Park or having a family night out at the Concord Chamber Music Society. The town has so much to offer, so why would you waste your time on such a daunting task as cleaning? Call The Maids and see how we can be of service for you and your Concord home.